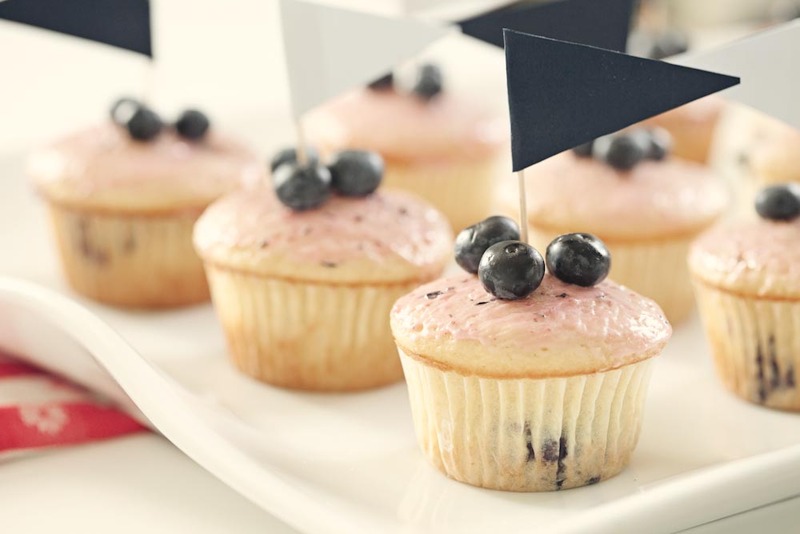 blueberry hill cupcakes, and a happy 4th to you! The 4th of July is upon us already! I'm not sure why 2010 is in such a hurry to rush on by, but I do wish that she would slow down just a bit. I had big plans for this week, some favorite salads and cocktails and desserts to share with you before the holiday weekend ahead of us. But, well, time flew. I am keeping things short and sweet today, because I have family in town! That means wandering shops on Charlottesville's Downtown Mall, stopping for gelato, lunch on a patio, pampering with my Momma, vinho verde on the back deck, sausages on the grill. And that's just today! Oh, the weekend we'll have. Perhaps you could make these cupcakes? Lemony and chock-full of bright bursts of blueberry, they absolutely scream summer. You'll love them, I'm sure. I've heard good things about the frosting that accompanies this recipe on bon appetit, but wanted something lighter and with a bit of color. I bet a lemon buttercream or a lemon glaze would also be really delicious. Also, my "glaze" originally started out as a full-blown buttercream frosting. I frosted one cupcake, but found the very sweet topping to be very overpowering. The cake itself is so delicious that you really want to let it shine. 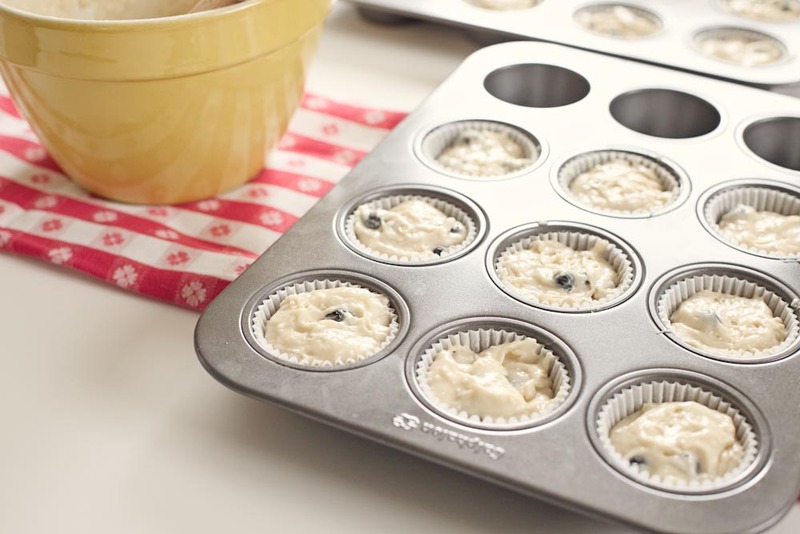 Preheat oven to 350* F. Line two 12-cup muffin pans with paper liners. Sift flour and next 4 ingredients into a large bowl. Whisk the melted butter and oil in a separate, medium bowl. Add eggs; whisk to blend. Whisk in buttermilk, milk, vanilla extract, and zest. Add buttermilk mixture to dry ingredients; whisk just to blend. 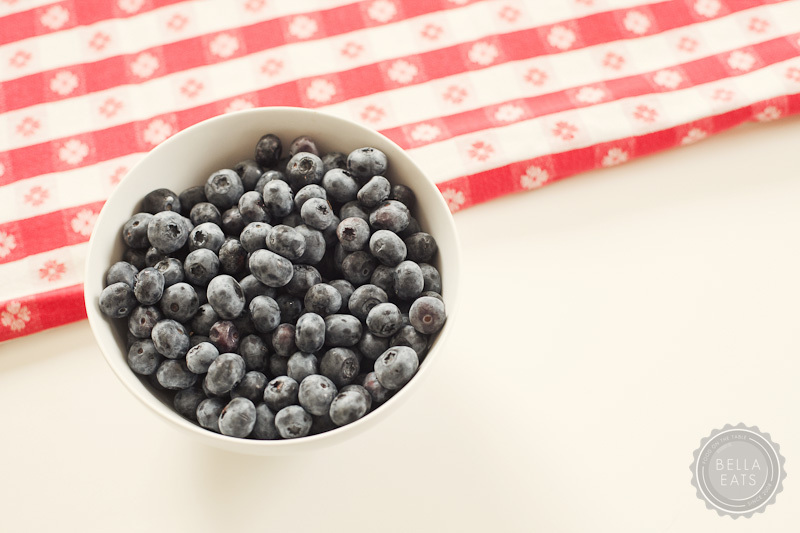 Stir in frozen blueberries. Divide batter among liners. 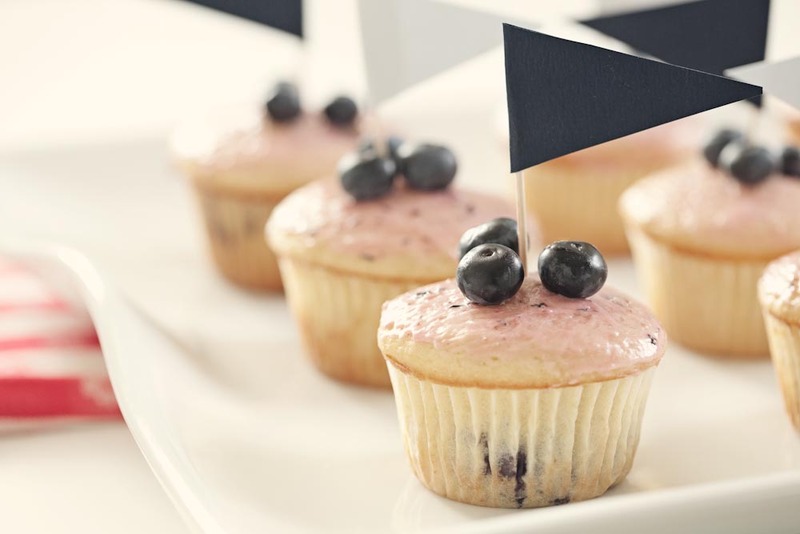 Bake cupcakes until a tester inserted into center comes out clean, 23-27 minutes. 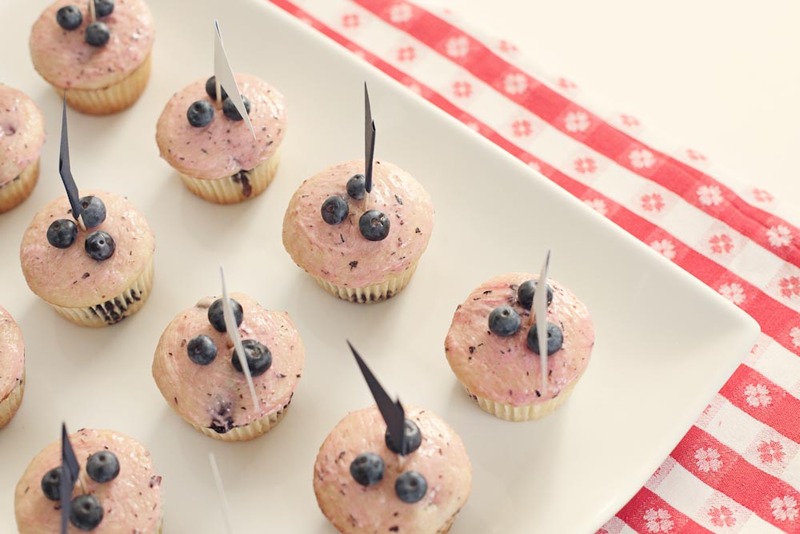 Transfer cupcakes to racks; cool. Beat butter in electric mixer with whisk attachment until creamy. Add about 1/2 the sugar slowly. 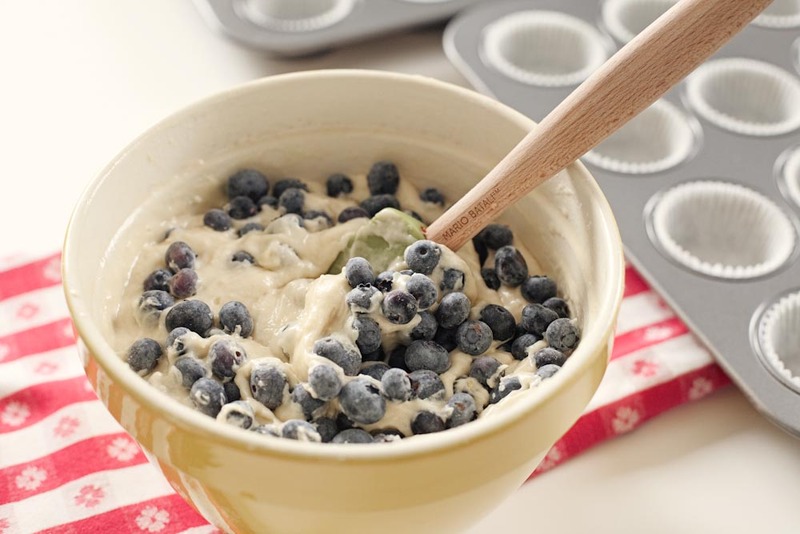 Add 2 tbsp of the blueberry puree and continue whisking to blend. Add the last of the sugar and whisk to blend. 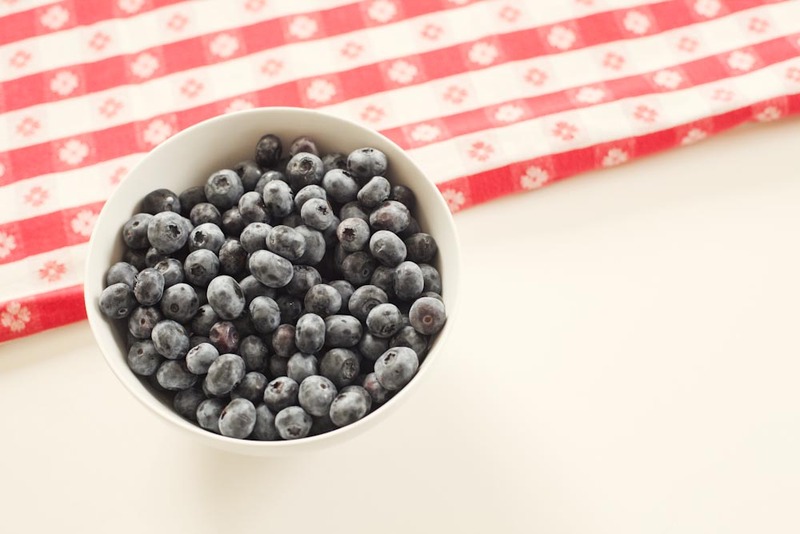 Taste, and add more blueberry puree if desired. You want the consistency to be like a loose buttercream; easy to spread but also easy to control (you don't want it running down the sides of your cupcakes). When the cupcakes are nearly cool, brush them lightly with the glaze. You will find that the glaze will harden nicely in about an hour. Keep stored at room temperature in an air-tight container.